With more and more attacks involving gangs and groups, and with the use of weapons, we need to inform ourselves about what we can do, and how we can avoid dangerous situations. 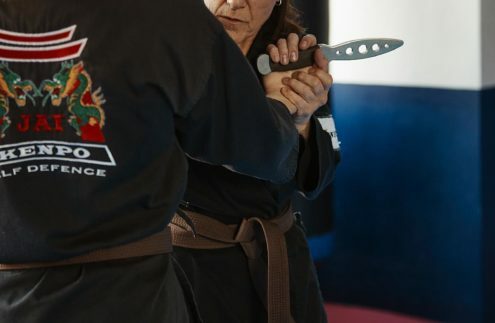 Kenpo Karate teaches both linear and circular movements to strike and defend using weapons such as the hand, elbow, knee and foot. Self Defence techniques have been tested for their effectiveness for street self defence where the law of the fist truly applies. Kenpo Karate is a practical form of martial art that teaches self defence no matter your gender, age or size. 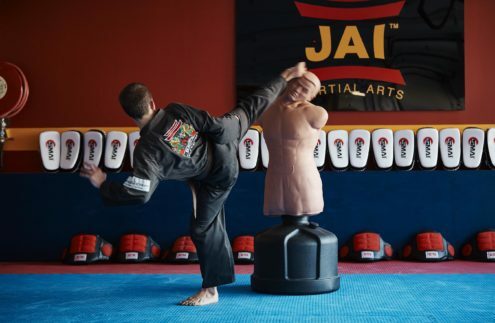 Our Kenpo Karate system is tailored and defined by the individual – we cater movements to you, no matter your limitations or weakness. Students will learn self defence against common punches, kicks and grabs, as well as self defence against weapons. You will learn how to defend yourself whether you are standing up, or if the fight goes to the ground. In our style of Kenpo Karate, there are no rules to what you can and cannot do. You will learn self defence that is practical, effective and quick. Disable, disorient and finish the fight quickly. 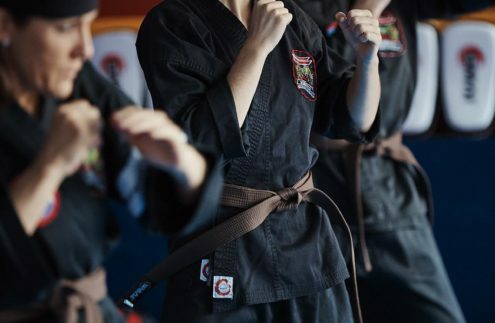 Apart from its self defence component, Kenpo Karate will teach you self control and self respect, improved self confidence, a stress release outlet, and improvements in fitness and flexibility. 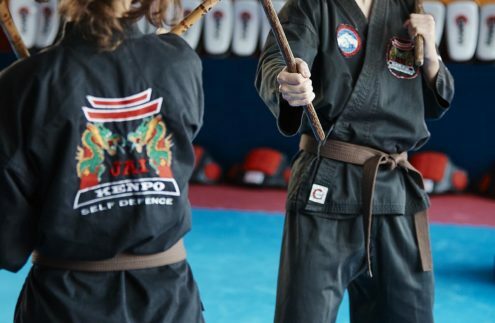 Our Kenpo Karate is a Black Belt syllabus allowing students to set the goal of Black Belt. Our syllabus includes sequences of blocking and striking, as well as defence from grabs, punches, kicks, weapons and multiple attackers.